KIEV, December 29. /TASS/. Ukraine’s authorities are ready to buy coal from territories in Donbas, eastern Ukraine, that are beyond their control, Ukrainian President Petro Poroshenko said on Monday. “We will buy (coal) from state-run enterprises, including those that produce coal in territories we do not control,” he told a news conference. 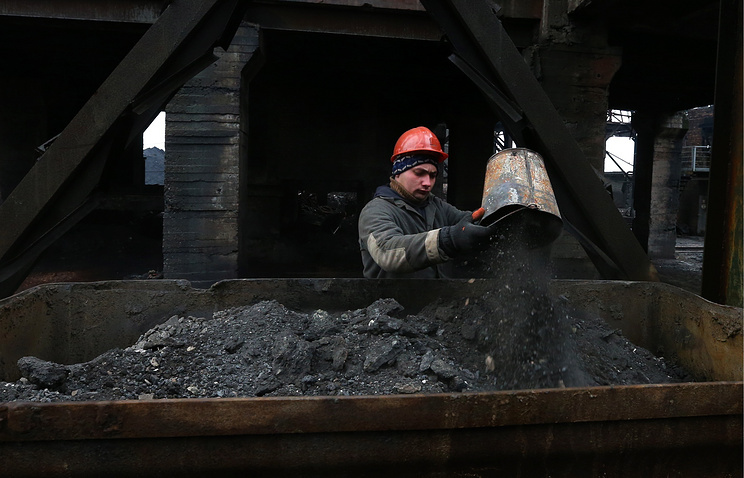 He said Kiev would buy coal in Donbas in case the money earned from these sales would be paid to coal miners as wages. Also, he said Ukraine would buy coal in Russia. “We have a possibility to buy coal in Russia, regrettably, for convertible currency,” he noted, adding that whatever fuel — coal, gas or oil-gas mixture — would be used, Ukraine would have to import it and hence pay in hard currency. He noted that the efficiency of coal-powered electricity plants was the biggest hence the cost of electricity generated from coal was minimal.